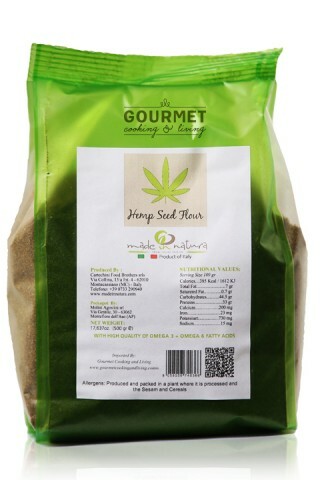 This naturally gluten-free flour, made only from hemp seeds, is highly digestible and light. It contains the 8 essential amino acids and are an important source of protein and omega 3, 6, and 9 fatty acids. It has a slightly bitter flavor that blends well with many dishes, sweet to savory. Can be combined with other flours in the proportion of 7% - 15%. Best uses are for bread, cake and pizza doughs, crepe batters, homemade pastas and shortbread. In desserts, limit the amount of fat used as the hemp seeds naturally contain oils.